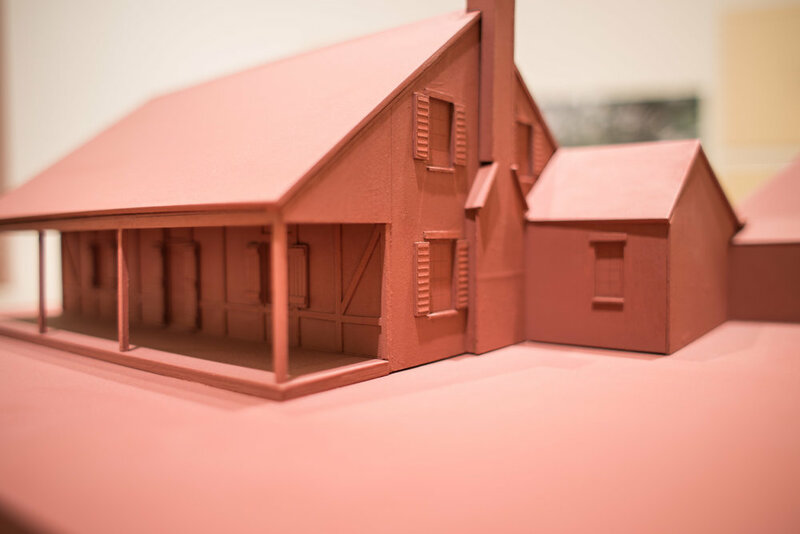 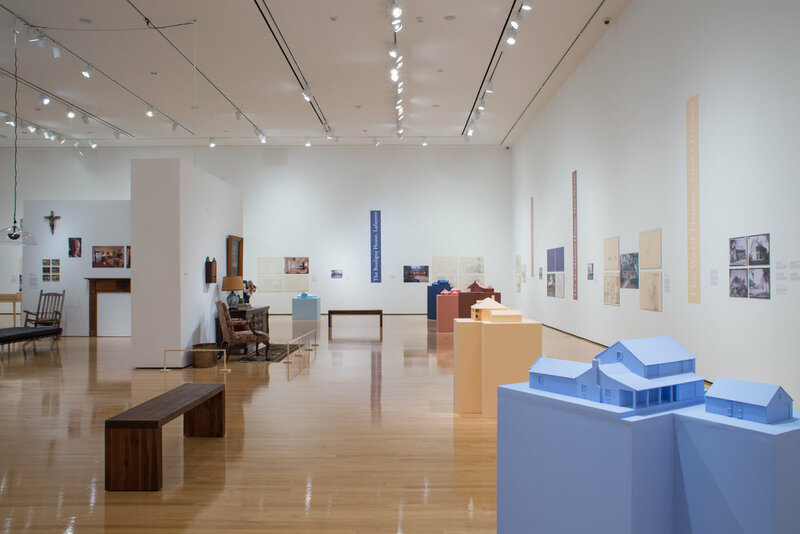 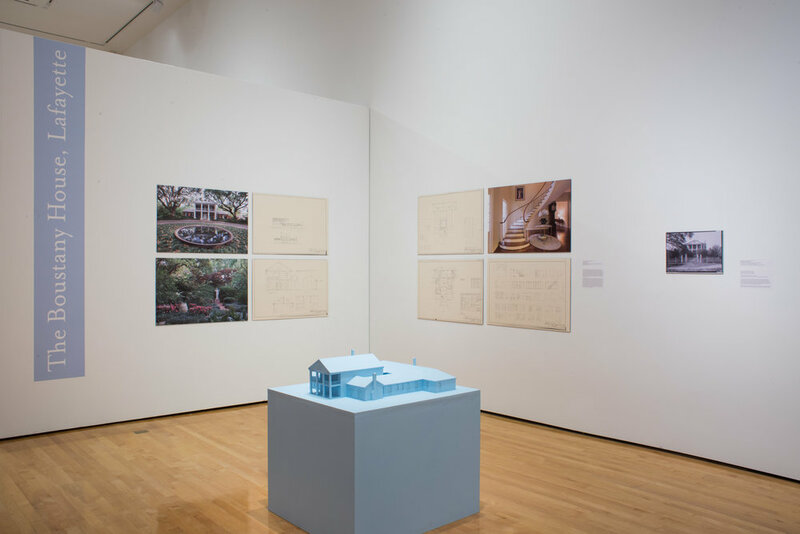 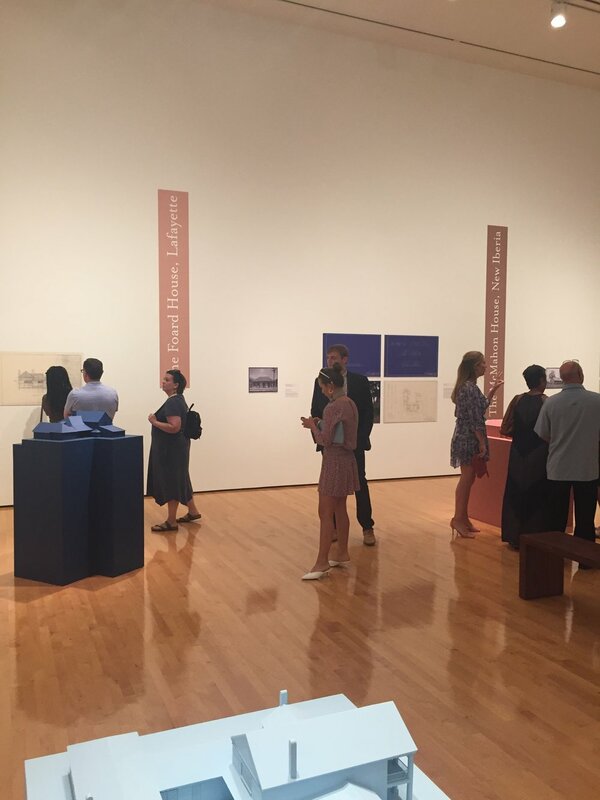 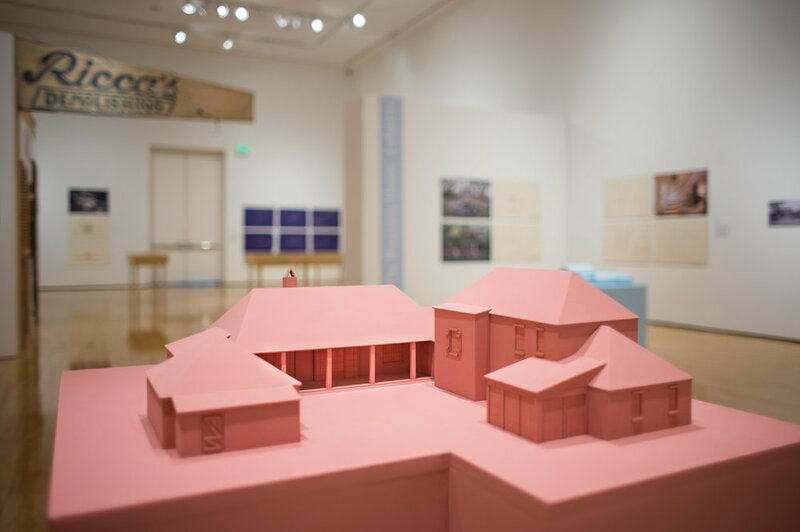 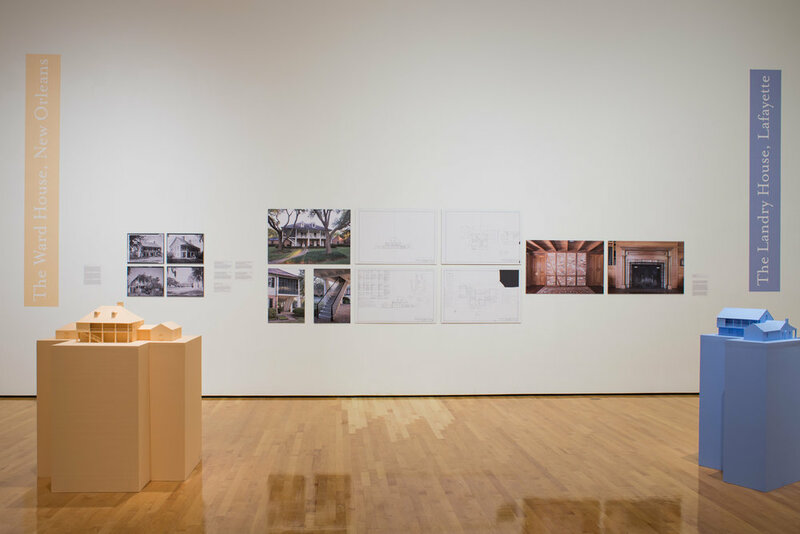 For the Spring Semester of 2018, LSU students (taught by partner Ursula Emery McClure) produced models for the A. Hays Town Exhibit. 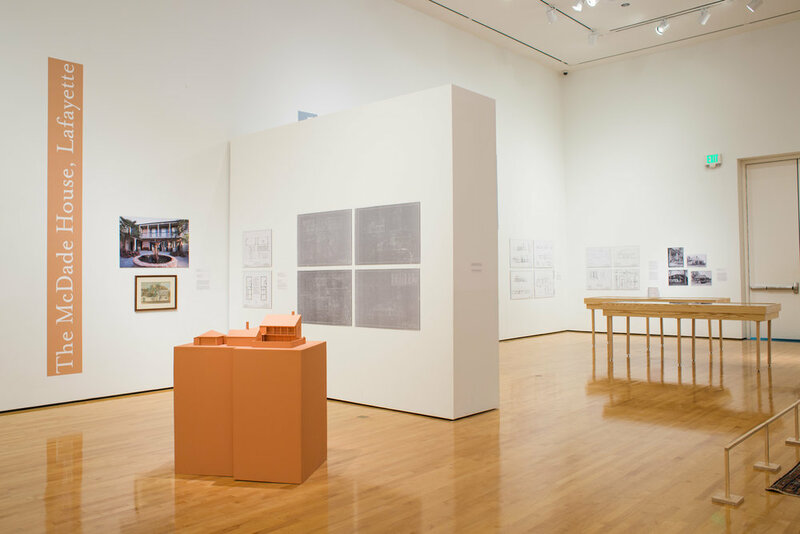 Part of a three institution collaboration (Tulane, LSU, ULL), the students worked for an entire semester analyzing the architect's drawings, rebuilding them digitally and then translating them for the museum. 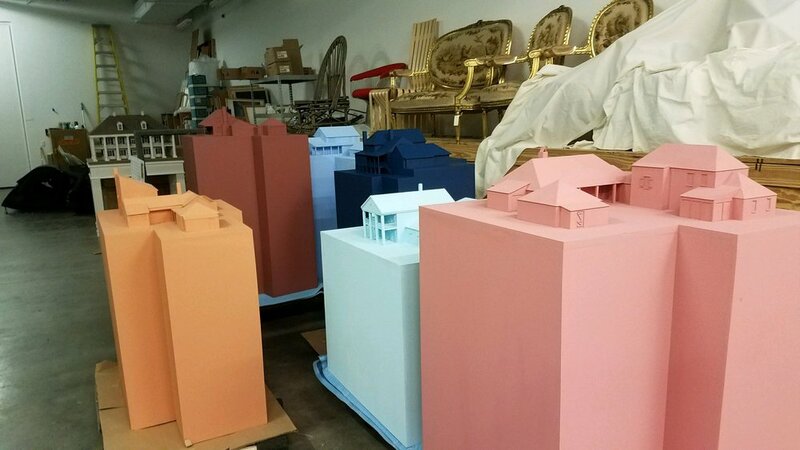 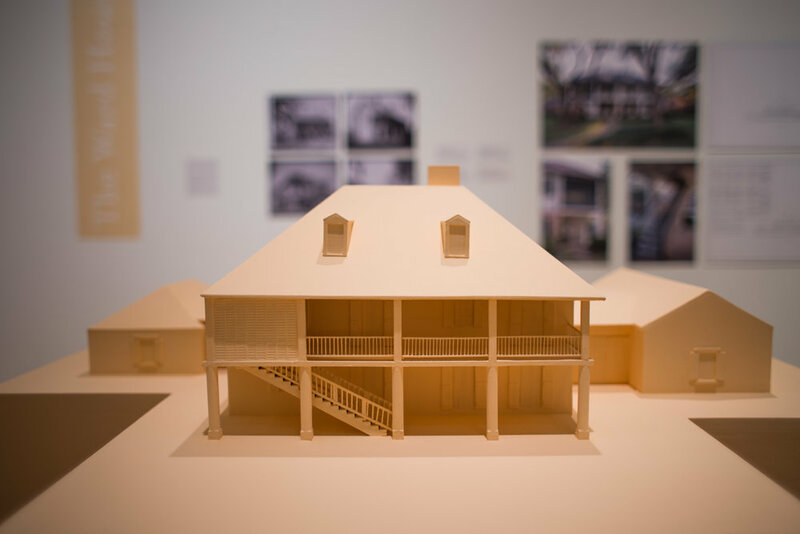 These models were created in the LSU Architecture course ARCH 4155_Recording Historic Structures, LSU Baton Rouge. 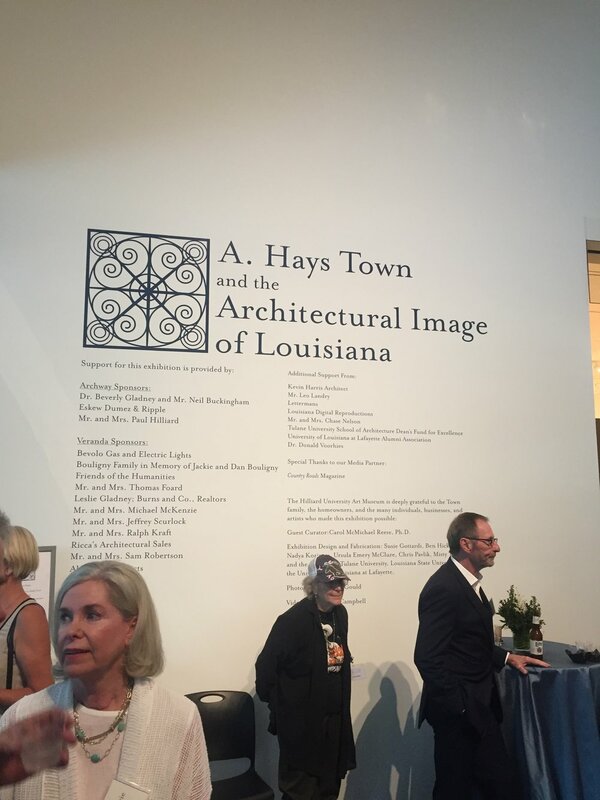 18 LSU BArch and MArch students participated. 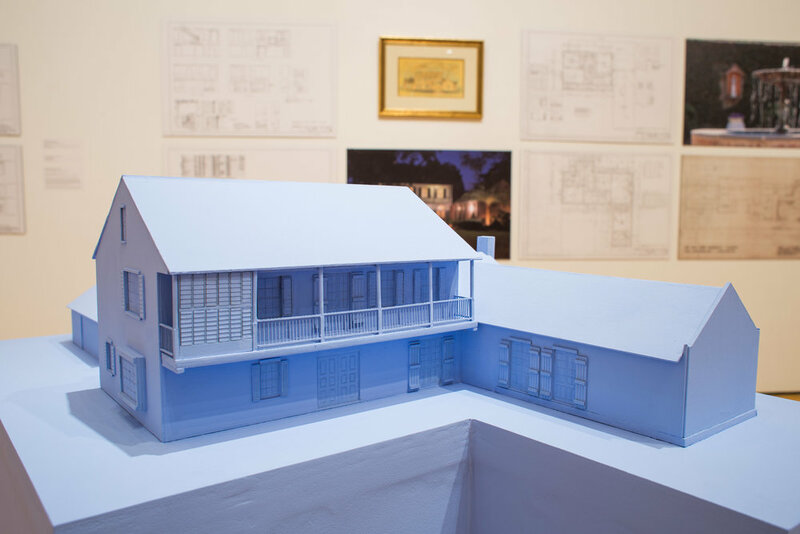 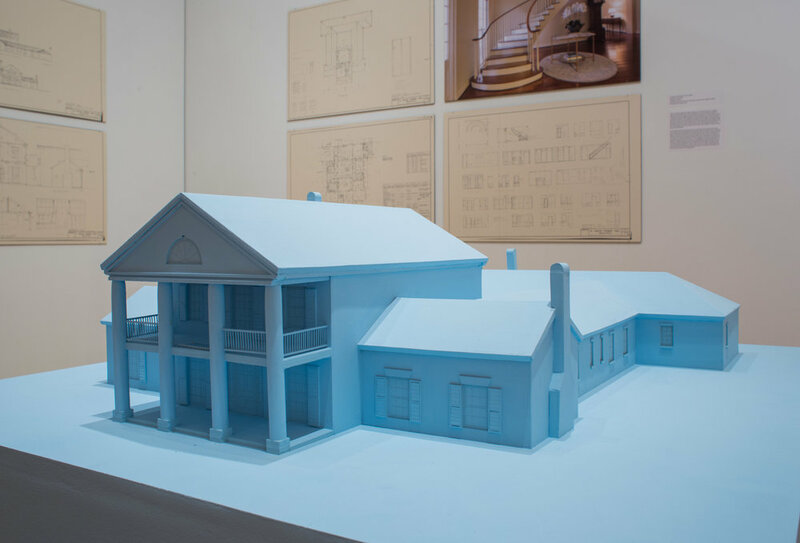 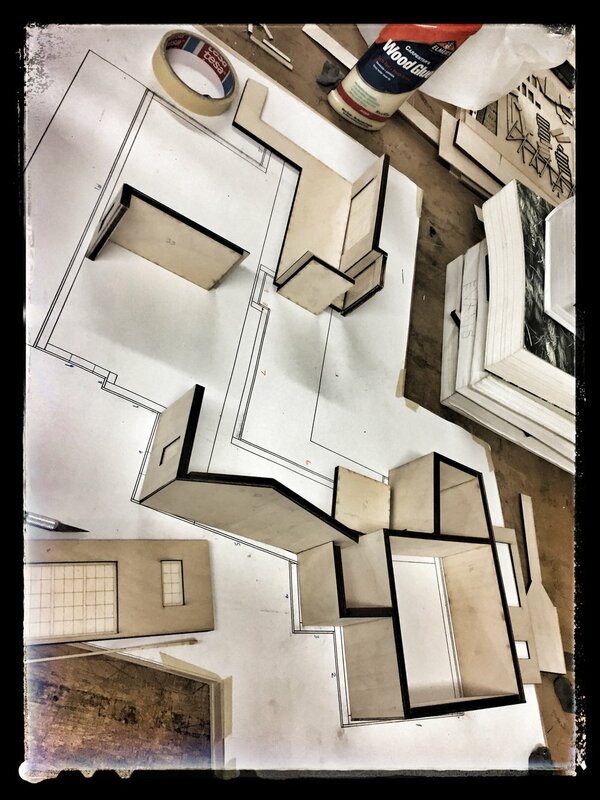 To build the models, students analyzed A. Hays Town’s original construction drawings, transferred the analog drawings to digital drawings and built digital 3D models. 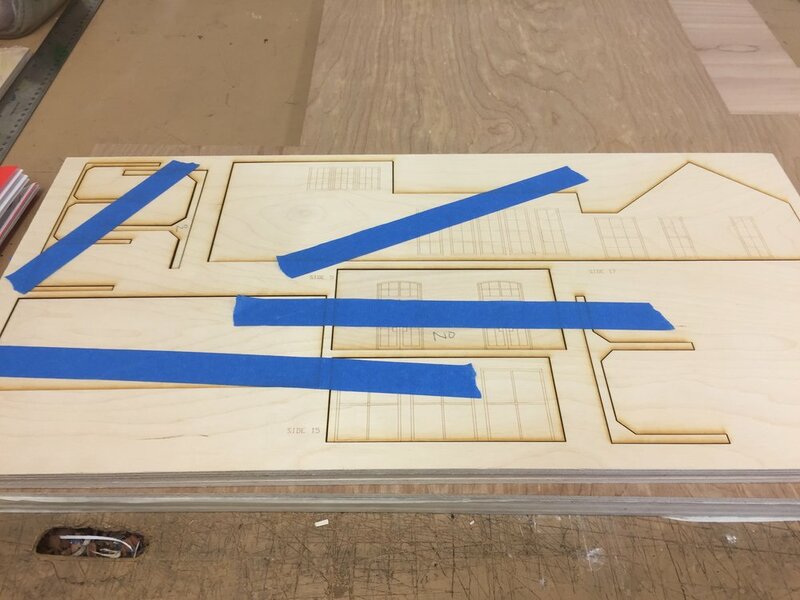 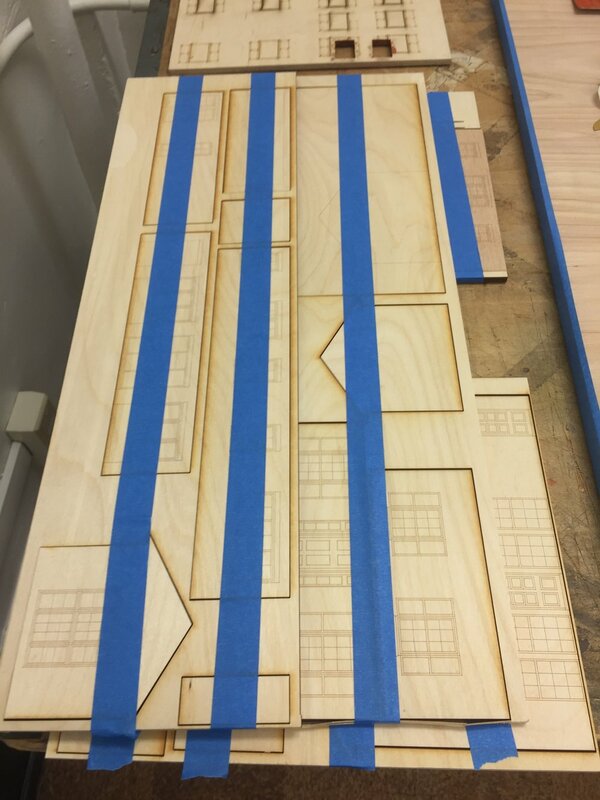 They then used those digital works to create files for the laser cutting machine. 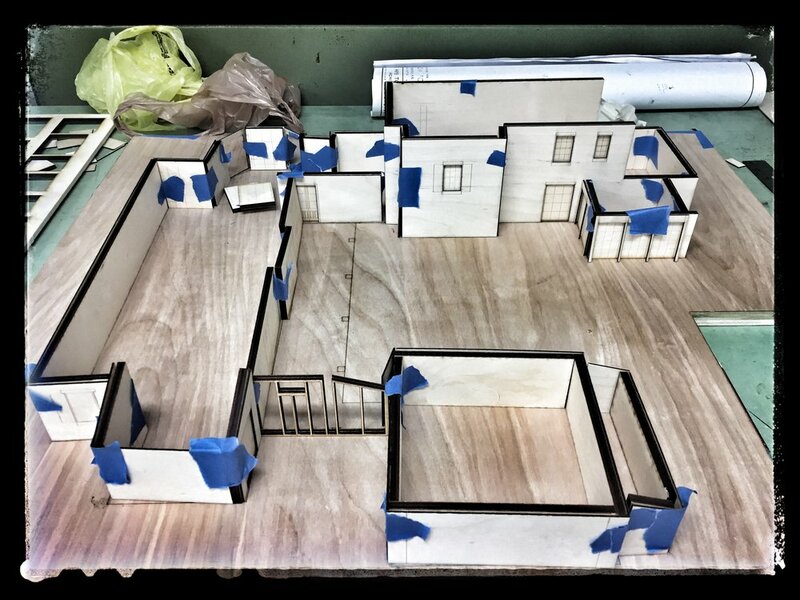 Finally, with both digitally and hand cut pieces the students constructed the physical models and podiums.